The family moved to Cape Town when Vivian was six. At age eleven, he had a bruising encounter with apartheid that left a strong impression on him. Having innocently boarded a bus set aside for black South Africans, he was thrown off by the conductor who told him, “You can’t come here!” Afterwards, he told his aunt he was not going to live in South Africa. After completing a degree at the University of Cape Town, Vivian set sail for England, where he was planning to study English at Oxford. Instead, he followed friends down to Marseilles where he met Yiddish-speaking Holocaust survivors waiting to set sail for Israel. The encounter was a pivotal one and led Vivian to journey to Israel, where he lived on kibbutz for a year. After losing his passport, Vivian returned to South Africa, where he completed a master’s degree in psychology. He then traveled to England, this time staying for more than eight years. He studied medicine at University College London and enjoyed the city’s theatres and museums. After completing his degree, he decided it was time to see his parents so he returned once more to South Africa. While in South Africa, Vivian met a friend who suggested he enroll in McGill University’s psychiatry program. Vivian thus set sail yet again, this time with wife and ten-month-old baby. After an eighteen day journey, the family arrived in Montreal, where Vivian did his residency. Residency complete, he accepted a job offer in Toronto, where he stayed for the rest of his career, serving as chair of the Department of Psychiatry at the University of Toronto and as the namesake for the Rakoff Centre for Positron Emission Tomography. 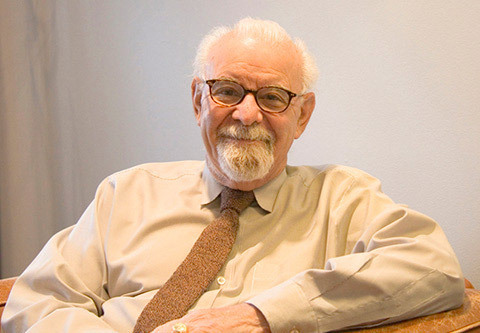 In 2015, the Government of Canada appointed him a member of the Order of Canada in recognition of his contributions to psychiatry as well as for his role in founding the Centre for Addiction and Mental Health.